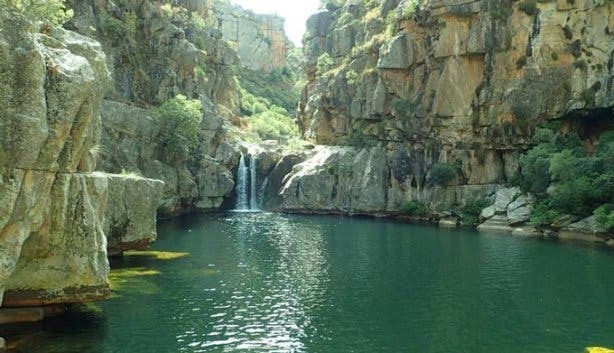 From the biggest rock pool in the Western Cape to the mountain home of a population of Scottish trout in SA, and few waterfalls and secret swimming spots you won’t believe are just around the corner. These are the hidden natural treasures to discover, whether you’re seeking adventure or want to bring the family on a special experience. The Witte River, just outside of Wellington, flows from the highest valley of the Bainskloof mountains. In the river also swims the Loch Leven brown trout (brought from Scotland in the 1800s), so it’s also a popular fishing spot. It’s also a great place to enjoy a picnic by the river. You’ll find the river at the start of the Bobbejaans River junction, which is on the Bobbejaans River hiking trail. First-timers should hire a guide. Permit: Yes, to hike and swim. Buy one from the Bainskloof Corner Lodge. A 7km hike takes you along a scenic trail in the Limietberg Nature Reserve. The path follows the Krom River up the valley and into an indigenous riverine forest. The trail has a few swimming spots along the way, but the last two are worth the hike: a brave climb takes you to a deep rock pool and a massive waterfall. Be aware that there is no cellphone reception on this hike and dogs aren’t allowed into the reserve. 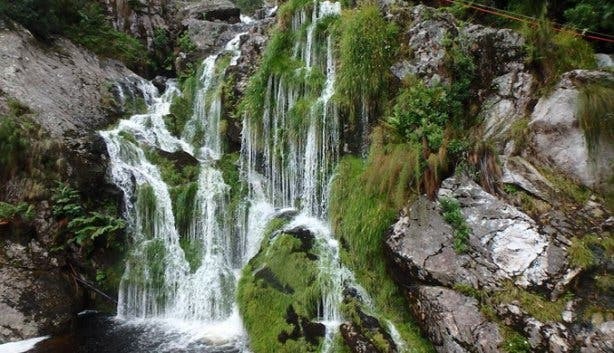 Cecilia Forest might not offer the deepest of rock pools, but you’ll definitely be able to cool off after a three-hour hike gets you to some of the most beautiful waterfalls the Western Cape has to offer. The most popular route through the luscious forest is from the Cecilia Forest car park, on the contour path through Newlands Forest, keeping right you’ll reach the uphill path marked Rooikat Ravine, which will lead you around Cecilia Ridge into Cecilia Ravine, where the Cecilia Waterfall is located. Die Hel is an awesome, large rock pool in Groot Winterhoek (just north of Tulbagh) with an equally large feat to get there. 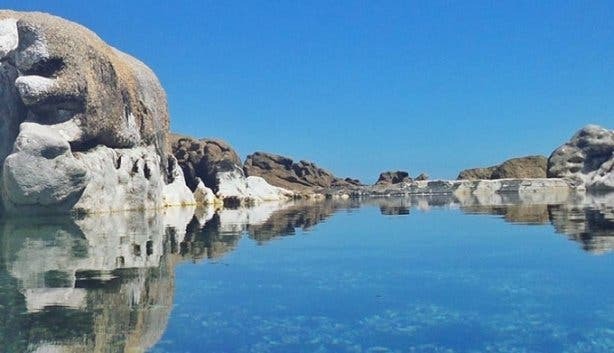 A 14km hike will get you to De Tronk after which you’ll need to head on a 5km hike to Die Hel – one of the most breathtaking rock pools in the Cape. In fact, it’s our biggest rock pool (approximately 15 metres wide) and it’s surrounded by waterfalls and cliffs to jump off of. The hike to Die Hel is fairly easy until you reach the descent to the pool. Hikers are warned to take it easy going down. This is for adrenaline junkies and it’s advised that you travel with an experienced hiker, if you are not one yourself, before undertaking this jaunt. You’ll be trekking for a full eight-hour day, covering 17km in the Boland Mountains. Cliffs are as high as 20m, and you’ll likely be wet throughout as you jump, swim, and scramble. Suicide Gorge is a one-of-a-kind experience and one unique to the Western Cape. The Drupkelder rock pools are situated in an ecologically sensitive area in Knysna, so SANParks only allows 12 people in per day. The 40-minute forest trail to the pools isn’t too steep and the pools are suitable for kids who can swim. There are also a few waterfalls and small cliffs in this scenic swimming spot. Saunders Rock Beach, named after the imposing granite rocks in the area, is a mostly wind-free beach and has white sand and beautiful ocean views. Located in Bantry Bay, this spot is close enough to the city for last-minute plans and is totally free to enjoy. You’re able to watch the sun drop below the horizon from this beachy area while cooling off in the tidal pool and Lion’s Head behind you. A day out to this canyon should be on the bucket list of all adventure junkies. You abseil down a 65m high waterfall and go kloof jumping into different rock pools along the gorge from heights ranging from 3m to 22m. This popular camping site is 16km from Wellington on Bainskloof Pass in the Limietberg Nature Reserve. The natural pools have waterfalls and you can cliff jump from heights up to 5m. Get there early, day visitors are limited to 120 people per day. Located about 3 hours from Cape Town, this campsite boasts tranquil surrounds. Hikes to the pools are fairly easy and not too far from the camping area. Note that you’ll need to bring your own braai grid, there are no electric points in the camping area and there are no card facilities, so you’ll need cash. Cost: R30 per car. Overnight camping fees cost R70p/p for adults, R40 for kids aged 4–17 and free for kids under 4. About 9kms from Gordon’s Bay in the Kogelberg Nature Reserve, you’ll find a natural rock pool along the Crystal Pools hiking trail. It’s popular for abseiling and cliff jumping. A 45-minute hike gets you to the pools. Note that these pools are closed during the winter months and are only open 1 November–30 April. All it takes is an easy 2km hike to get to the Maalgat Cliffs. The thrill is in the plunge: You can get up cliffs as high as 11m to dive into a 50m long natural rock pool. It’s situated only a short drive from the camping area at Sanddrif in Cederberg. Find out what you need to know about hiking up Krom River. Rough it up at these camping spots. Work up a sweat and see some beautiful sights on these hiking trails.